If you’re looking to add more protein to your diet but don’t want to eat animal products, don’t worry. There are so many delicious protein-rich meals that you can make that don’t include animal products at all. The Truth About Protein: It’s Everywhere! 1. Sweet: Protein-Rich Green Smoothie - Perfect for Travel! It’s important for us to realize that protein is found in all foods—even fruits and veggies have protein despite being a smaller amount than denser protein-rich foods. For example, a cup of broccoli and asparagus both have 4 grams of protein each, almost as much as an egg which has 6 grams per whole egg. Just ½ cup of cooked lentils contains 22 grams of protein, which is more than a serving of tuna, 3 eggs, and almost as much as a steak or hamburger. 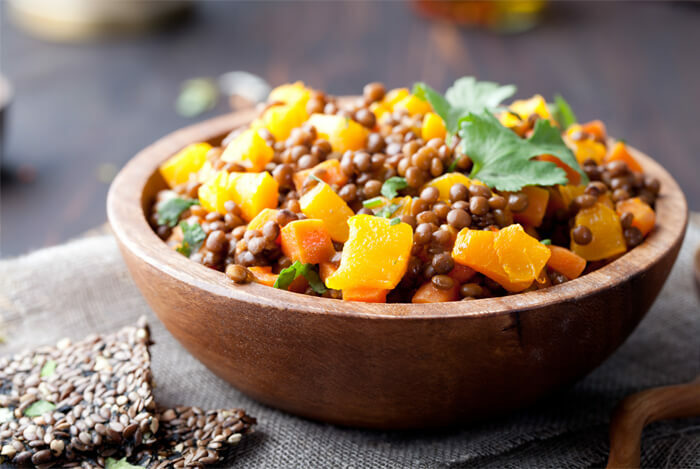 Plus, lentils offer not just protein, but fiber, minerals like magnesium, potassium for healthy blood pressure levels, and exceptional levels of iron. Even spinach contains 5 grams of protein per cup either cooked or raw. These are just a few examples of how easy it is to work protein into your day through common, healthy foods. Most people are well aware that protein is found in all foods, just like you probably are. The problem normally comes when individuals who want to eat more plant-based meals go to prepare a meal for themselves. Some people don’t know how to prepare a meal that will ensure they get enough nutrients without animal products. Others aren’t sure how the foods will taste, and many people fear that they just won’t like the food. These may all be some concerns you’ve had if you’ve considered adding more plants to your plate and putting the animal products aside for a bit. Plants pack a large dose of nutrients along with fiber. Although they aren’t extremely high in protein, they’re worth considering. Luckily, plants package carbohydrates, protein, healthy fats, and micronutrients all into one tasty package. So, let’s take a look at how you can take common, everyday ingredients and prepare a protein-rich meal with them. Remember that whole grains, legumes, greens, nuts, seeds and even fruit all have protein. Based on that fact, each of these recipes below contains well over 15 grams of protein. Pick one for your personal tastes or try them all out! If you decide to reduce your intake of animal protein, or want to try out a vegan diet, consider these foods. Here are three different breakfast ideas you can try, one being a sweeter option, one being a more savory option, and one being a classic that might be similar to the breakfast you’re enjoying now. 1. Sweet: Protein-Rich Green Smoothie – Perfect for Travel! This smoothie packs in iron, vitamins, minerals, protein, B vitamins, fiber, and antioxidants all in one glass. 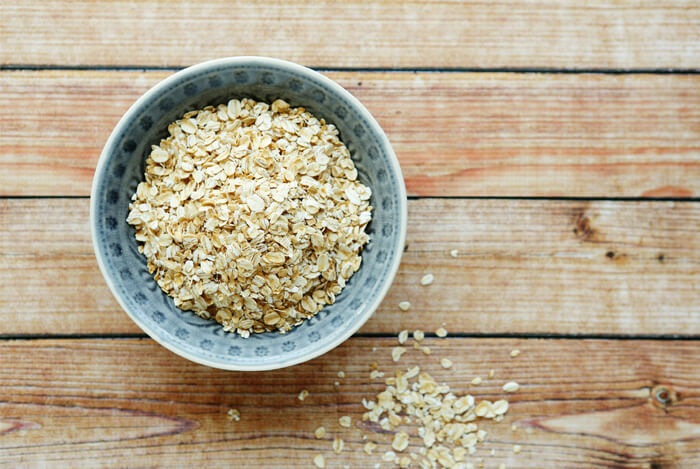 The oats provide creaminess, protein, and extra iron and the greens are loaded with fiber, iron, vitamins, protein, and minerals. You can enjoy it at home or take it to work with you for easy travel. 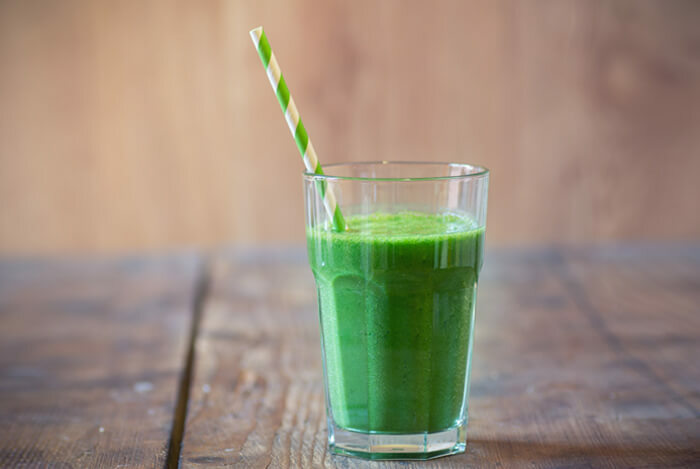 Spinach is one of the most protein-rich and most nutrient-dense greens of all; it’s also the least likely to taste bitter in green smoothies. Freeze a small container of loose leaf spinach when you get home from the store. Then just open it up, pop it in the blender, and blend the greens frozen versus fresh. They add an extra frostiness and retain all their nutrition, but their flavor dissipates even more after being frozen so you’re less likely to taste them. Add all the ingredients to a blender in the order listed, then just blend and enjoy! This scramble can be prepared in under 5 minutes and requires hardly any fancy cooking skills at all. If you used to love scrambled eggs, this is a great way to transition away from eggs and take in much more nutrition at the same time. 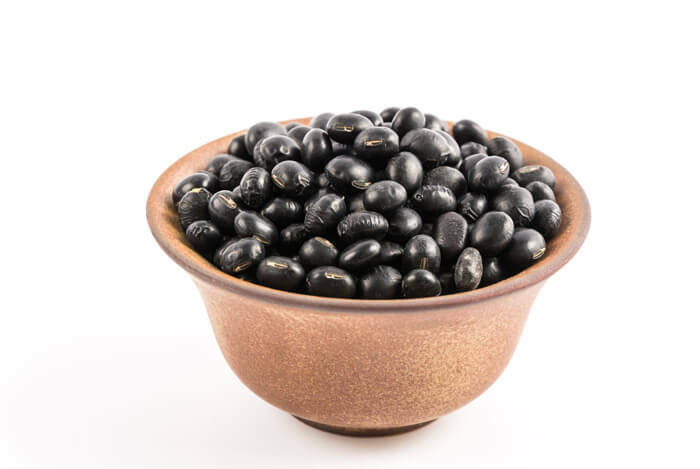 Black beans are cheap, delicious, and they can be used in both sweet and savory recipes. First, drain and rinse the black beans and set aside. Heat a skillet on the stovetop to medium-high heat, and add 2 tablespoons of water in the pan (versus oil). Add the drained and rinsed black beans and cook just until warm (about 2 minutes), scrambling as you go so they don’t stick. Next, add in the pepper, seasonings, and the spinach. Scramble for 1 minute. Put the lid on the skillet and turn the heat off. Let it sit on the skillet for 30 seconds while you grab a plate and the salsa. Remove the skillet lid, scrape the skillet mixture onto a plate and top with your favorite salsa. Oatmeal is a breakfast you probably already enjoy are accustomed to eating. If you’re new to eating more plant-based foods, sometimes it can help to start with something more familiar if you’re not into trying new options yet. This recipe provides heartiness, plenty of protein, and so many antioxidants from the pecans, fruit, and flax. It’s also extremely filling and contains ingredients that can help improve metabolic, heart, digestive, and brain health. Oatmeal is also one of the best sources of plant-based protein, iron, and fiber too! First, add the oats to a bowl and the non-dairy milk. Stir just to incorporate. Next, stir in the flax and the frozen blueberries. The flax will thicken the recipe up overnight and it adds extra omega-3 fatty acids. The blueberries will defrost overnight and act as a natural sweetener as they release their juices. Finally, stir in the pecan pieces and cover the bowl with a paper towel. Pop in the fridge and let it sit overnight. In the morning, top with slices of the fresh banana, and even add a dollop of raw almond butter, natural peanut butter, or some chia seeds for more natural protein! These recipes can also easily be enjoyed at dinner and are great if you don’t have a lot of time on your hands. Pick one out and give them a try! The only prep required to make this meal is for you to make the lentils and sweet potato ahead of time. Lentils can be cooked on the stovetop in just 15 minutes and require no soaking whatsoever (though you probably should give them a rinse before cooking). Sweet potatoes can be roasted on a pan anytime of the day, even in the morning while you’re getting ready. Roast a sweet potato (or more) for 45 minutes at 400 degrees and that’s it! Red lentils and sweet potatoes are two of the highest antioxidant-rich foods on the planet. They also both provide fiber and potassium, two essential nutrients you need for healthy blood pressure levels, a healthy weight, and optimal blood sugar levels. Both can be cooked ahead of time, (such as the night before or on the weekend) so that this meal comes together in less than 2 minutes. 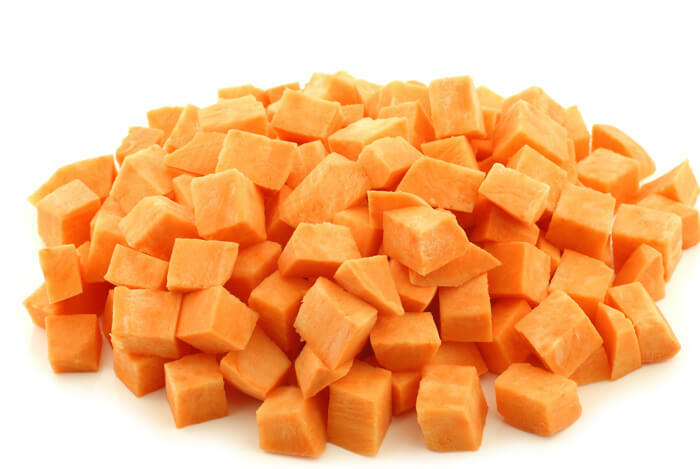 Add the greens to a bowl and chop the sweet potato up into cubes. Add the sweet potato to the greens. Next, add the lentils, salsa, and the cashews or hemp seeds if using. Add any additional seasonings you want, chop it all up, and enjoy! 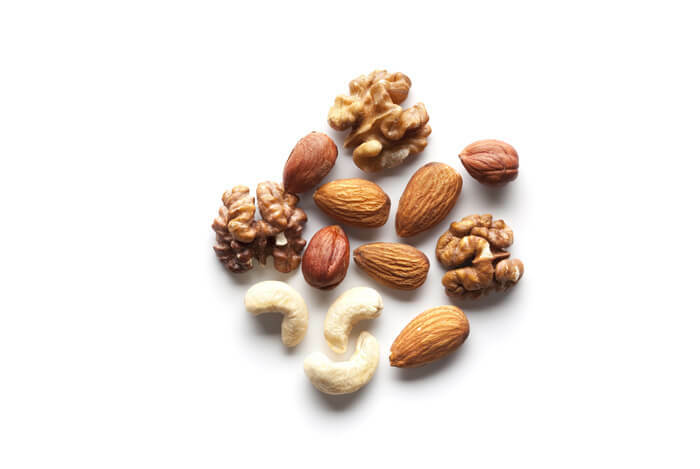 Cashews and almonds are great sources of magnesium and monounsaturated fats that protect your heart. In a large bowl, combine the greens, sprouts, and tomato. Toss to combine. Next add in the avocado, red bell pepper pieces, carrots, and the onion pieces. Toss to combine further. Finally, squeeze the juice of one lemon over the top, add a tiny pinch of sea salt on top of the salad, and then the black pepper if using. 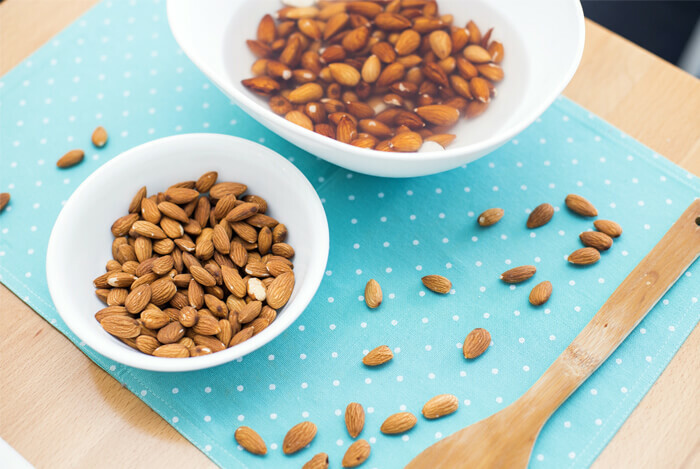 Top with the soaked almonds and cashews, and enjoy! 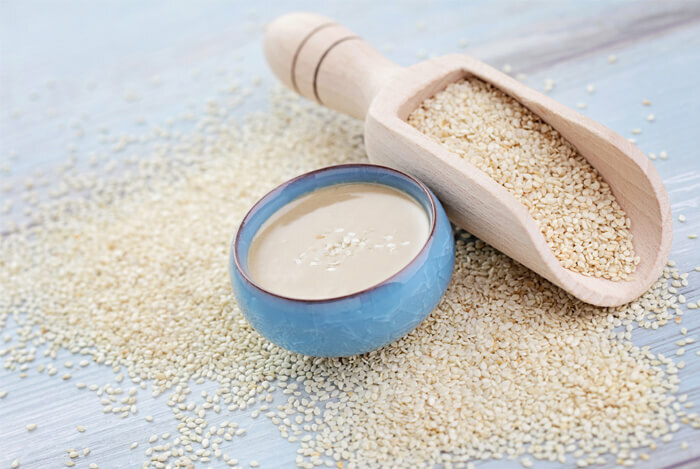 Tahini is a natural source of protein, iron, and plant-based calcium—no dairy needed! It’s also super creamy and has a nutty, savory flavor making it a perfect ingredient for salads. Tempeh is one of the most popular plant-based sources of protein even among people who hate tofu and other soy products. It’s sold in the produce department with the other refrigerated products. In a large bowl, add the lettuce, carrots, tahini, celery, turmeric and black pepper. Toss well to coat. Add the juice of a lemon and toss again. Open up a wrap and add 2 pieces of tempeh with ½ the lettuce and tahini mixture above. Wrap up tightly. Repeat again for the second wrap with the other 2 pieces of tempeh, the remaining mixture, and the remaining wrap. Serves 1-2 (depending on how hungry you are). 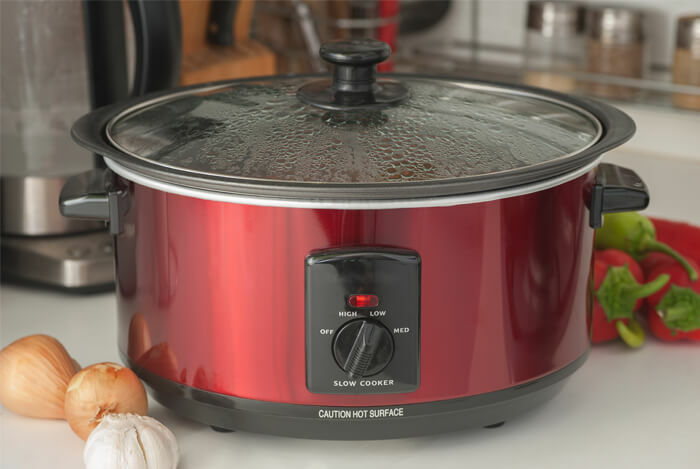 Who doesn’t love their slow cooker, right? Use the well-loved appliance of many to make an easy protein-rich dinner in just minutes, then serve up the leftovers for lunch the next day or two. The recipe below is super easy to make and is packed with nutrient-dense ingredients. Zucchini, butternut squash, tomatoes, and potatoes are all filled with heart-protecting nutrients for your body. Chickpeas are one of the easiest legumes to digest and they offer exceptional amounts of protein, B vitamins, iron, and potassium. They also have a nutty flavor that makes them well-loved by many. Add all the ingredients to your slow cooker and stir well to incorporate. See how easy that was? Try out one of these breakfasts, lunches, and dinners this week and turn your dessert into a healthier one while you’re at it. It’s really so easy to get enough protein and if you ate one of each of these meals per day, you’d easily get all the protein you need. What’s your take on these healthy protein rich meals? Have anything else you’d like to share? Let me know in the comments below!